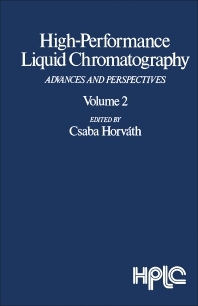 High-Performance Liquid Chromatography: Advances and Perspectives, Volume 2 presents the fundamental aspects of high-performance liquid chromatography, laboratory technique for chemical analysis with a wide range of applications. The book consists of three chapters discussing the optimization of the column and the operating conditions of the chromatographic system; use of polar adsorbents and nonpolar eluents; and reversed-phase chromatography, the main branch of high-performance liquid chromatography. Chromatographers, chemists, and researchers in the field of chemical analysis will find this book a good reference material.